Grease Duct Cleaning in Woodland Hills CA | Flue Steam Inc. 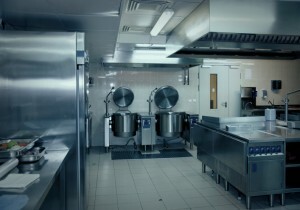 Protect your commercial kitchen with grease duct cleaning in Woodland Hills CA. For just about any kind of restaurant, code compliance can be a real headache. Possible fire hazards can also cause concern. When it comes to achieving peace of mind in this area, grease duct cleaning Woodland Hills CA is a great place to start. Just make sure you choose a true professional to provide it. Here are some important reasons to choose Flue Steam for your next grease duct cleaning in Woodland Hills CA. We have over 40 years’ experience in the industry. Our long history tells you two things: 1) we know what we’re doing, and 2) our clients are happy. 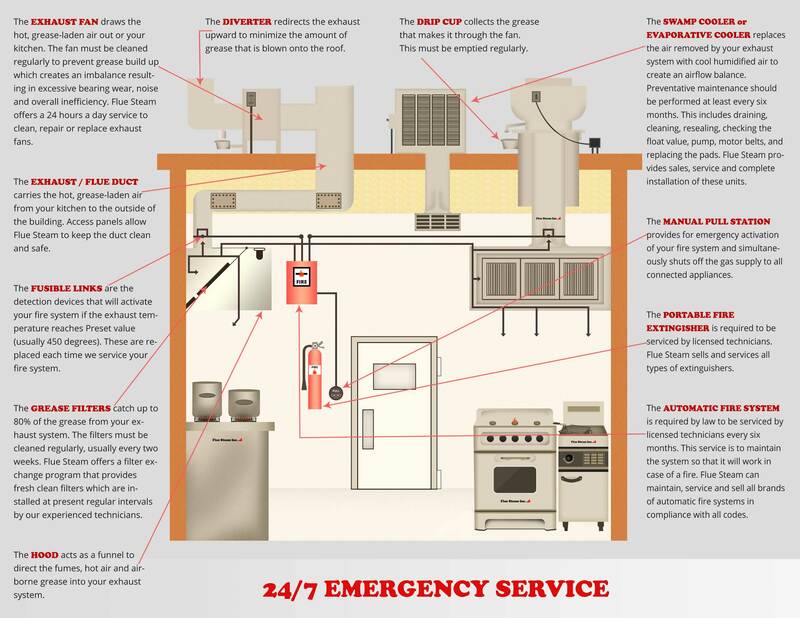 We have the experience needed to help you keep up with the sometimes convoluted kitchen fire and safety codes that affect your business. We employ certified technicians. We are an IKECA member company, which means our employees have completed various training courses with International Kitchen Exhaust Cleaning Association. But we’re not just about book learning–our employees have had ample practice in the techniques learned in these courses thanks to years of real world work experience providing grease duct cleaning in Woodland Hills CA. We help you save money without sacrificing safety. While grease duct cleaning in Woodland Hills CA by hand scraping is typically recommended every month, the true frequency of cleaning should be determined by the types of foods you cook in your kitchen and how fast they cause grease to build up in your ducts. We can measure grease buildup on your duct walls using an IKECA comb. This tool will help check that the ducts are dirty enough to require a cleaning, as well as prove that they are clean after we’re done. This helps strike a balance so you don’t risk costly overcleaning or dangerous undercleaning. We make it easy to schedule cleanings. Naturally a grease duct cleaning in Woodland Hills CA will affect your ability to cook, which is why we provide our services at hours that are convenient for you. We also provide convenient stickers that state the date of the last cleaning to help satisfy code inspectors and help remind you when to schedule your next cleaning.